If you live in North America and want to ramp up the scare factor this Halloween, then Capcom might have just the offer to get you in the mood. While it doesn’t exactly match the impressive amount of savings available in other regions on certain rival digital platforms, it’s a welcome return, and at least something to help Nintendo gamers get in the spirit of the spooky season. If this sale makes it outside of NA, we’ll be sure to let you know, but for now – to those of you who live in this area – tell us in the comments if you’ll be purchasing & playing any of these horrifying games in the dark, and/or under your blankets, this Halloween. 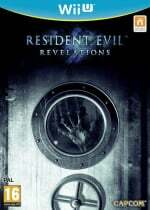 Is RE Revelations on the Wii U worth getting? I've read the review you but it's not enough to convince me. RE1,2&3-PS were my favorites and RE4-PC was okay to me. I've never played the rest and the remakes. Dang, those be some spooky savings. Almost disappointed that I paid $30 for the Wii U version. @BensonUii If you have any interest in the game, the Wii U version is definitely the definitive one. I skipped RE: Mercanaries, is it worth a looky even if it's just some glorified, ahem RE mercanaries mode? @BensonUii - Just keep in mind Wii U isnt getting RE:R 2 when it comes out in Feb. This sale should come w/ a disclaimer. The Xbox360 is getting it. Dl the 3ds version at your own risk over 24k blocks. It alone will take up about a 10th of a 32 gig. Oh... some Resident Evil games.....I'll pass. @WaveWarlock: I'm playing it at the moment. It's a 30 Level-scoreshooter with a lot unlockables and cooperative lokal and online. @rjejr It's coming to the XBox 360, too? Definitely worth it for $15.99. Thanks! Yep I'm aware that the sequel isn't coming to the Wii U. But does it have the RE2 feeling? It was my favorite among the trilogy. Too bad they never had a sale for some VC games. Yeah I preferred the first 3 RE games back then on the PlayStation. I enjoyed playing RE4 but it felt different than the trilogy. @Mus1cLov3r - "PC, PlayStation 3, PS4, Xbox 360 and Xbox One - from sometime in "early 2015"." Hard to say if ti's worth hating MS over this one or Nintendo though. The eShop is getting a lot of what the other consoles offer as far as Season Pass and DLC - Hyrule Warriors, Pikmin 3, MK8 - but it hasn't gotten any of the episodic games yet (that I can recall), so maybe it's a Nintendo thing? Also not getting the Lego Batman 3 season pass. And who knows what is or isn't in Watch Dogs? Not sure if it's technical limitations or a Nintendo policy but so much stuff from more than 1 company not making it to Wii U makes me think it has something to do on Nintnedo's side of the equation. I already got all these games in the last sale they had, oh well. Wow, that's quite a drop. I found the PS3 version of Revelations for $10 at a local pawn shop. It is a great game. My personal opinion, and it is only MY opinion, the best was, and still is RE;4 on Wii. The control style suited that game perfectly, and with the additional content, it was perfect. I am slowly playing my through yet another play through using Wii mode on my Wii U, and I still love it to this day. A lot of people will have different opinions and reasons why, and I accept that. That does not make them any more valid, and certainly not LESS valid than my opinion. I hope these are not... Chris' savings. A real Jill savings sandwich. @SpookyMeths I'd argue that the 3DS is the definitive version as its a much more thoughtout experience, but the Wii U version does offer slightly more content. If you don't have RE:R yet, GET IT. This reminded me that I got RE:R for Wii U last Halloween when Capcom had an eShop sale, and I still have yet to play it. Derp. Noticed this yesterday. Grabbed Revelations for the Wii U and don't regret it. @akaDv8R best version hands down is the Wii version. 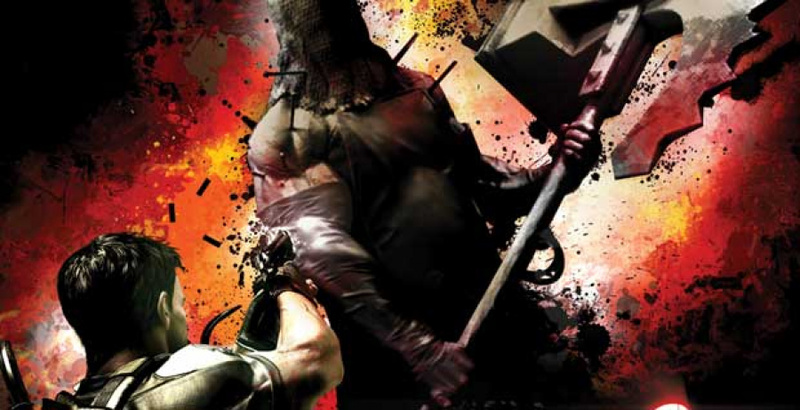 Would love to see RE5 with those move controls for the WiiU with new content while RE:R2 comes out for other systems. I know people don't like 5, but to me it's a damn fine action game. RE:R is best on 3ds, end of. I REALLY want a port of RE4 on the N3DS next year. @rjejr From what I read elsewhere (game informer, polygon, kotaku, maybe even here), Capcom's reasoning is that both the 3DS and Wii U versions of RE: Revelations sold a fraction of what was sold on the other consoles. @SpookyMeths : "@BensonUii If you have any interest in the game, the Wii U version is definitely the definitive one." Not sure what you are getting at, but performance- and visual-wise, it's clearly PC (as always depending on your HW) > 360/PS3 > WiiU, or did I miss anything that makes the WiiU version "definitive"? @Darknyht - Well that's almost certainly true for the versions on consoles that have a much larger install base. But it makes me, and probably other people, not want to buy the last game on sale if our console of choice isn't getting the new game, regardless of the reason. Which is probably legit. @WaveWarlock Mercenaries was a damn fun time, though I wouldn't pay full price for it again. It's definitely something I'd recommend to a completionist, since there's a lot to unlock and plenty of levels to try and get high rankings on, and the characters vary pretty wildly in weapons and techniques. It's surprisingly deep, seeing as it isn't a full-fledged, canonical game. I bought the game originally not knowing anything about it story-wise, so I was disappointed when there wasn't really a story behind it, but aside from that? it's completely solid. Yes, the Wii U version does look very tempting at that price. Maybe I'll have to fiddle around with the demo again. Omg I want Mercenaries so bad! I'm so poor these days I bought Fantasy Life and probably should not have and I'm going to download the expansion and I probably should not and darn it! I don'twant to pass on Mercenaries at 7.99 but may have too. Im so bummed! Last time they had it on sale I got the 3DS version of Revelations so pretty much good here. No interest in Mercenaries and no need for the Wii U version of Revelations. @rjejr Just found the article. It was this month's Game Informer. The quote is, "Revelations 2 isn't in the works for 3DS or Wii U (likely due to Revelation's under-performing sales on those platforms)." Do not know if I agree that boycotting the first one will send the right message to Capcom about the second one. It is not like the first one will be missing content, and it sort of validates their logic. @rjejr I actually meant "CAPCOM". xD I have no idea why I said "MicroSoft". 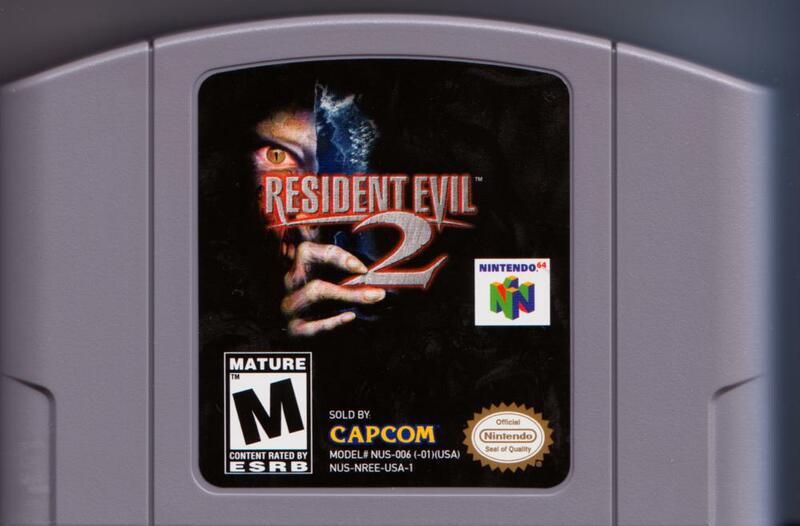 I want this one for Wii U VC Capcom, where's my Nintendo 64 version of Resident Evil 2? @Darknyht - "likely due to" isn't exactly a definitive reason why, it's really not much more than a guess or a hunch. And if my not buying their game justified their logic, what message does it send if I buy their old game after they tell me their new game is not coming out on the system? Wouldn't they just then not port any sequels if that makes people go out and buy the first game? When Wii U doesn't get Watch Dogs 2 they'll blame it on poor sales, even though it's coming out months later and 3 days before SSBU. And Ubi is making not 1 but 2 AC games, 1 for the last gen and 1 fo rthis gen, but none for Wii U? If Wii U rebounds and Ubi makes the next AC6 for Wii U I'll be boycotting that 1 as well. What I'm not boycotting is Bayonetta 2, b/c even though the 1st game skipped the SD Wii Platinum is making B1 available basically for free for Wii U. That's how you get support, you bring old games over w/ the new ones, not drop support for the sequels. Or come out 4 months later, or without DLC. I do think some of it must be Nintendo's doing, the lack of DLC and season pas support is just too wide spread, but some of it makes me not want to do business w/ certain companies. And I bought Child of Light from Ubi Day 1 b/c it came out w/ all the other platforms so Im not boycoting Ubi, just WD and AC. Well, I tried the demo. Can't stand using the R stick to aim. No Wiimote + Nunchuk, no buy. If I don't get Resident Evil Revelations for Wii U at that price, I'll never get it. So I'm gonna get it!